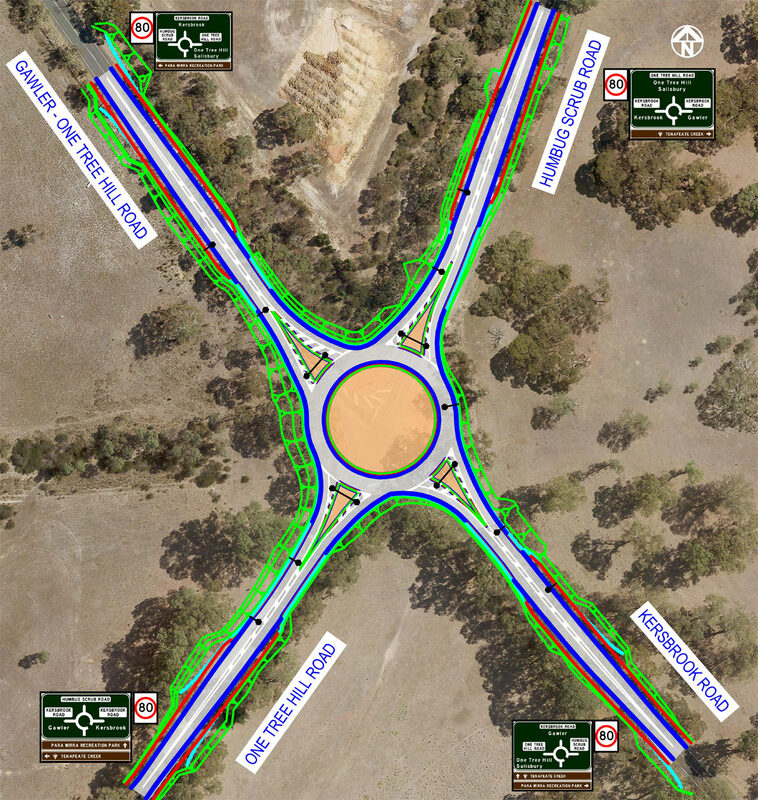 Construction of the new roundabout at the intersection of One Tree Hill Road and Kersbrook Road at Humbug Scrub, is now complete. The Department of Planning, Transport and Infrastructure (DPTI) has improved road safety by installing a roundabout at the intersection of One Tree Hill Road and Kersbrook Road at Humbug Scrub. This $3.8 million upgrade obtained through MAC Adelaide Hills Priority Program was a safety driven project, with the intention of addressing the number of serious and minor injury crashes at the location, involving right angle and rear end crashes. Installation of a roundabout to reduce vehicle speed. Speed limits reduced to 80 km/h on all approaches to the roundabout. The project was completed in October 2016.